Unified Products and Services Incorporated was established and was officially launched November 11, 2011. Mr. Emmanuel Pascual is the President and owner of Global Pinoy Remittance Incorporated, Unified Products and Services Incorporated and Unlitech Incorporated. Unlitech Incorporated is the system provider for GPRS and UPS. With the phenomenal growth of the company and its proven expertise in multi-level marketing, Unified Products and Services Incorporated shifted to be an independent Multi-Level Marketing Company, and will cater to the traditional products and also to technology based services such as Remittance, Ticketing, Bills Payments and Universal Loading. 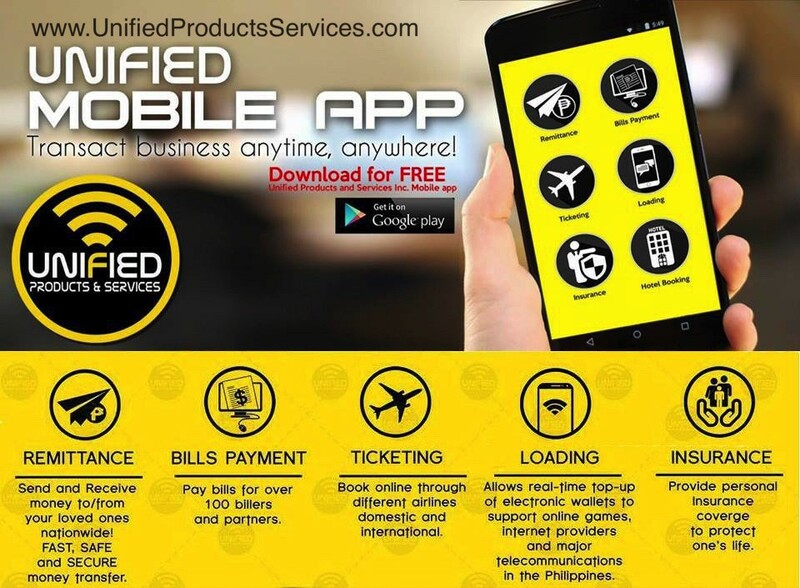 Unified Products and Services Incorporated exists with the paramount purpose of providing business opportunities to everyone through our world-class quality products and services. To be the world-class leader in Multi-Level Marketing industry, empowering the global community in attaining financial freedom and economic stability.